The 342-352-30 Mitutoyo Point Micrometer, 1-2"/25.4-50.8mm is on sale at Gaging.com! We are authoriz.. The 342-353-30 Mitutoyo Point Micrometer, 2-3"/50.8-76.2mm is on sale at Gaging.com! We are authoriz.. 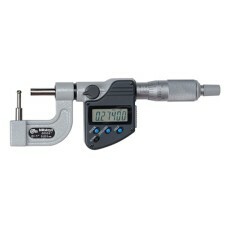 The 342-354-30 Mitutoyo Point Micrometer, 3-4"/76.2-101.6mm is on sale at Gaging.com! We are authori.. 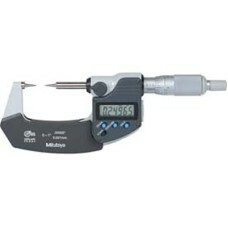 The 342-361-30 Mitutoyo Point Micrometer 0-1"/0-25.4mm is on sale at Gaging.com! We are authorized M.. The 342-362-30 Mitutoyo Point Micrometer, 1-2"/25.4-50.8mm is on sale at Gaging.com! We are authoriz.. The 342-363-30 Mitutoyo Point Micrometer, 2-3"/50.8-76.2mm is on sale at Gaging.com! We are authoriz.. 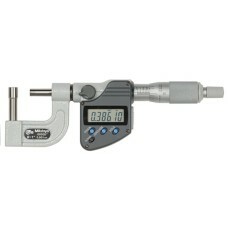 The 342-364-30 Mitutoyo Point Micrometer, 3-4"/76.2-101.6mm is on sale at Gaging.com! We are authori.. 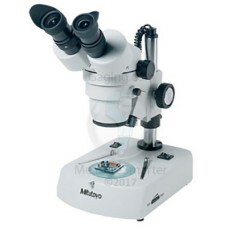 The 377-974A Mitutoyo MSM-414TL Trinocular Stereo Microscope, 1X - 4X magnification is on sale at Ga.. The 395-351-30 Mitutoyo Spherical Face Micrometer, 0-1"/0-25.4mm is on sale at Gaging.com! We are au.. The 395-352-30 Mitutoyo Spherical Face Micrometer, 1-2"/25.4-50.8mm is on sale at Gaging.com! We are.. The 395-353-30 Mitutoyo Spherical Face Micrometer, 2-3"/50.8-76.2mm is on sale at Gaging.com! We are.. The 395-354-30 Mitutoyo Spherical Face Micrometer, 3-4"/76.2-101.6mm is on sale at Gaging.com! We ar.. The 395-362-30 Mitutoyo Tube Micrometer with Spherical and Cylindrical Anvils", 0-1"/0-25.4mm is on .. The 395-363-30 Mitutoyo Tube Micrometer with Spherical and Cylindrical Anvils", 0-1"/0-25.4mm is on .. The 395-364-30 Mitutoyo Tube Micrometer with Spherical and Cylindrical Anvils", 0-1"/0-25.4mm is on .. The 395-371-30 Mitutoyo Spherical Face Micrometer, 0-1"/0-25.4mm is on sale at Gaging.com! We are au..